The Exotac matchCAP is a O-ring sealed waterproof matchbox for carrying safety, strike anyware and NATO matches. The Exotac matchCAP has striking surfaces for all types of matches. It can be used for other items other than matches. 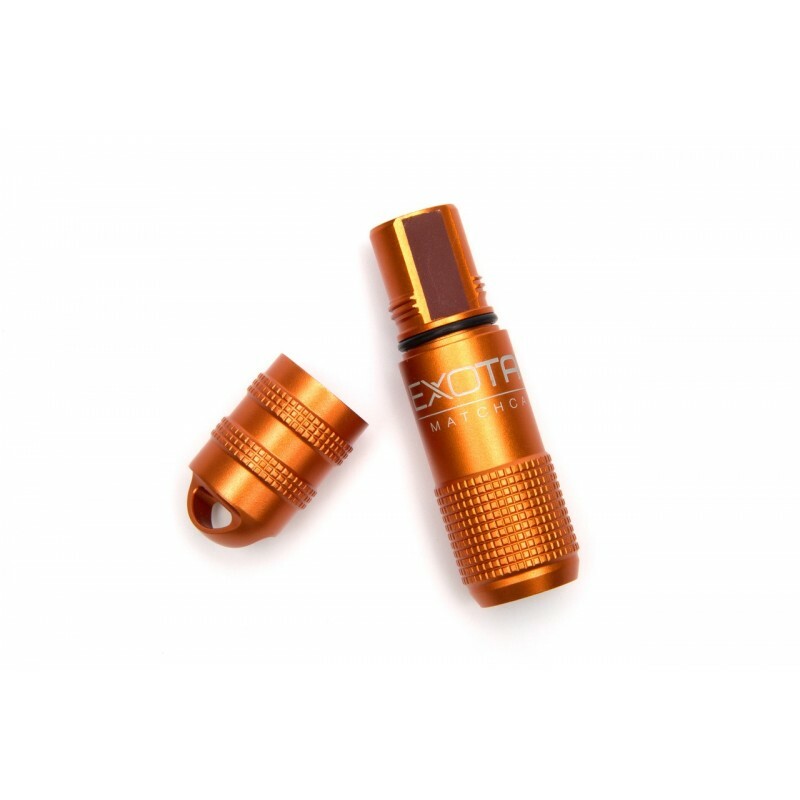 Exotac matchCAP is the smaller brother of the Exotac matchCAP XL. The EXOTAC matchCAP™ is a waterproof match case that can carry all sizes of matches from the standard kitchen strike-on-the-box safety match to NATO lifeboat matches and even the extended length matches sold by REI. The the dual-striker design means that you can use safety matches, strike-anywhere matches, or a combination of the two. We are proud to introduce the EXOTAC matchCAP to the UK and Europe - as well as our other customers around the world. Sealed with an O-ring which keeps both the matches and the red phosphorus (strike-on-the-box) striker dry.